Our medical staff is committed to providing the highest quality medical aesthetic products and services possible, in a comfortable and relaxing environment. Fullscript™ is the safest and most convenient way to purchase professional-grade products. 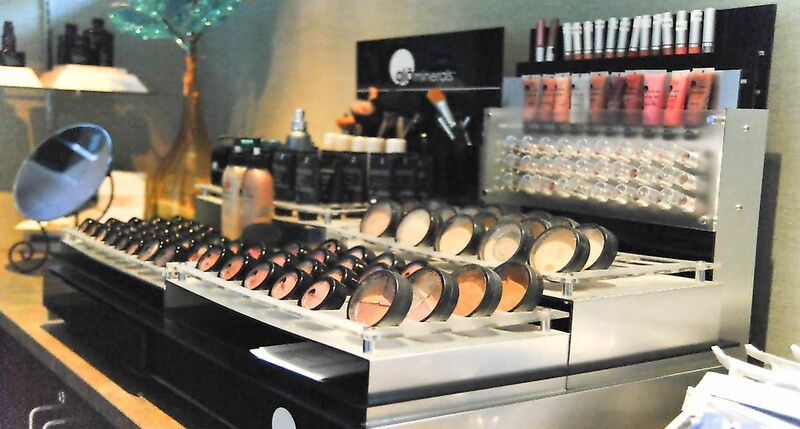 Glo Skin Beauty mineral makeup line is talc-free, non-comedogenic and does not include perfumes or chemical dyes. This makes their products suitable for even the most sensitive skin types. Tell me more about Glo Skin Beauty Mineral Makeup. The Clarisonic Skin Care Brush gently and thoroughly removes 6x more makeup and 2x more dirt than cleaning with your hands alone. It also removes impurities from your skin that keep creams and serums from working their best. Tell me more about Clarisonic. Revision® Skincare is an advanced line of products that focuses on seven keys to unlock healthy skin: purify, refine, resurface, restore, protect, hydrate and correct. Tell me more about Revision. LATISSE® is the only FDA approved treatment that grows longer, fuller, darker lashes. Tell me more about Latisse. Éminence Organic Skin Care products are developed from scientific combinations of fruits, vegetables, flowers, and herbs and are free of Parabens, Sodium Laurel Sulfate and other harsh chemicals. Tell me more about Éminence. PROVEN RESULTS. BASED IN SCIENCE. Give yourself some goodness. Make sure your best asset is protected against aging and sun damage with our award-winning SPF 30, 35 and 50 mineral sunscreen collection. We make protection easy. Tell me more about Colorescience. 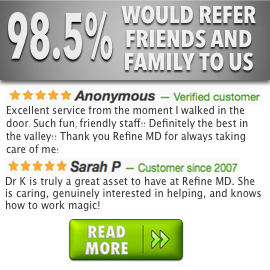 Call Refine MD to schedule a complimentary skin care product consultation. Our aestheticians will assess your needs and customize a product package tailored to your specific skin type and issues.